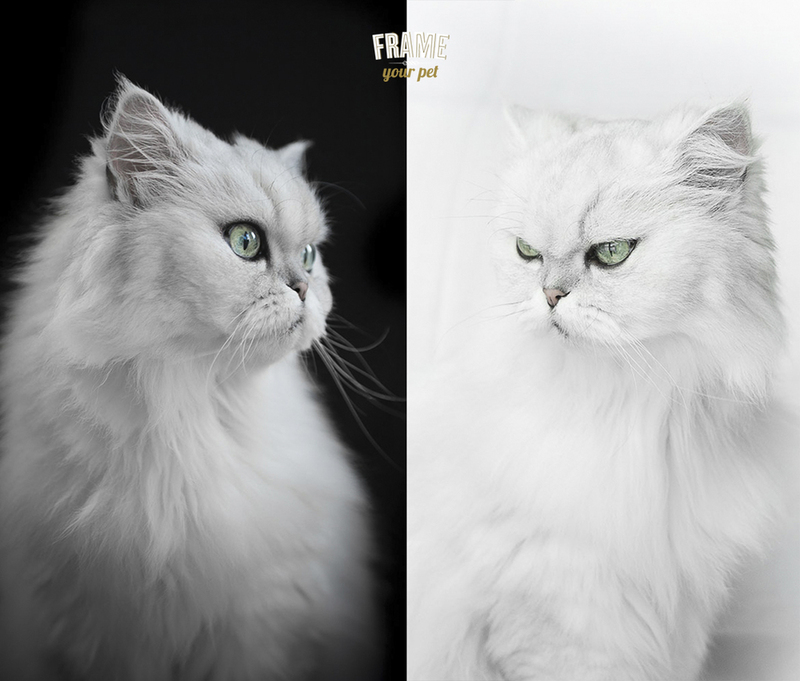 Outdoor pet photography vs Indoor pet photography, what's best? 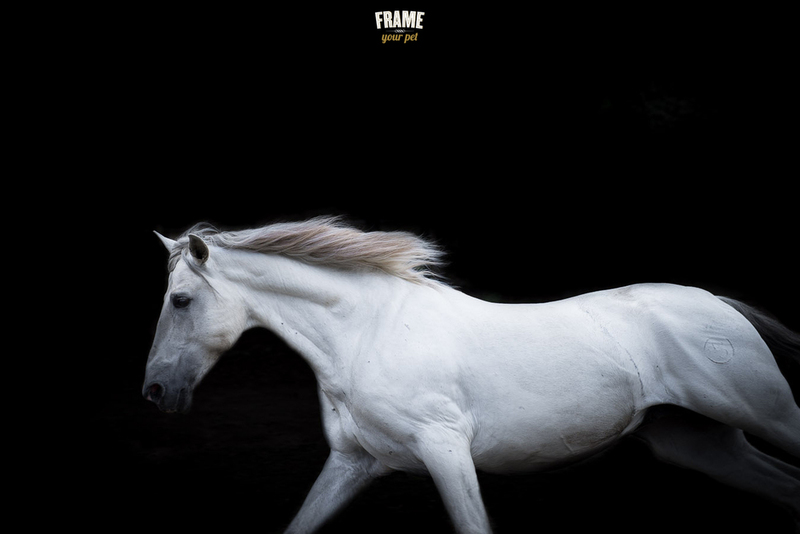 Welcome to Frame Your Pet's blog. My name is Alicia Rius. I am an artist, a fine arts pet photographer, and an animal lover. I moved to San Francisco one year ago and started my local business here in the Mission District. My style in pet photography is different from the traditional pet portraits you might have seen. 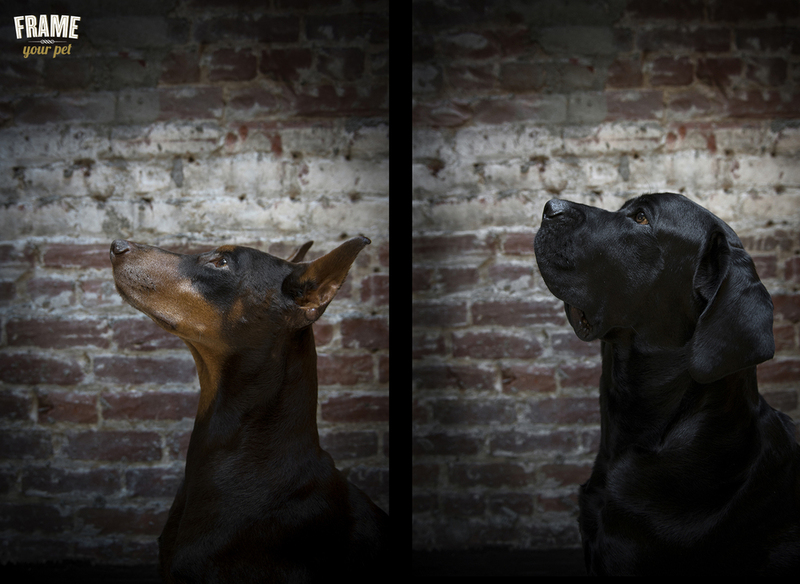 I only work with natural light, whether it be for outdoor pet photography or indoor pet photography. Most of my clients come to me to capture their pet's personality, and there is no better place to do this than in a pet’s natural environment. Although my Fine Art Sessions have the studio look, 95% of them are done indoors and with natural light. For indoor pet photography, the pet is not forced to stay in the same spot or to stay quiet in a certain pose. I follow the dog or cat wherever they go and I wait for the right moment to capture that unique moment. Approaching pet photography from this angle eliminates stress for the pet and results in more natural photographs, which are a truer representation of your pet. My background as an artist and my skills in post-production allow me to create unique photos that are modern, elegant, and dynamic. To see more of my equestrian photography portfolio, visit this gallery. Doing sessions outdoors is great for both animals and their owners. It's a fun experience that allows everyone involved to play around, and this is just as important as capturing great images. I'm often asked which is better, indoor pet photography or outdoor pet photography? Well, as long as the house has an abundance of natural light, then indoors can be just as good as outdoors. It comes down to personal preference and the personality of your pet. Cats, for example, feel more comfortable indoors. Their home is their natural environment and is where they feel calm. Relaxed felines are the ones who will give you the best shoots because they are not stressed out by their surroundings or the photographer’s presence, but instead, feel as if nothing has changed, and they will do what they always do. Boris is a Siberian cat. Initially he was shy, but after 10 minutes of me being there, he got used to me and my camera and he had no problem going back to his usual routine. 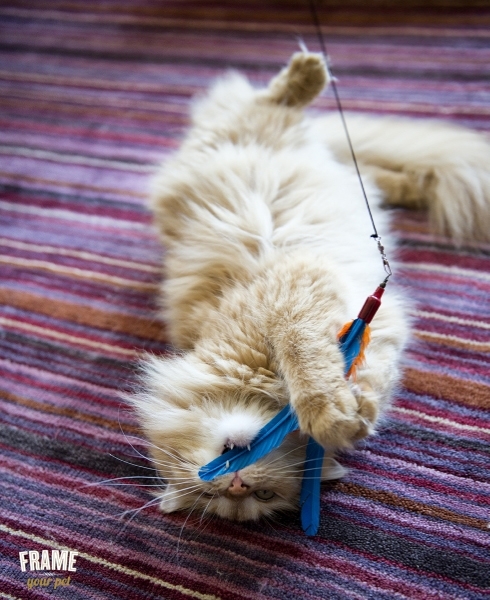 Check out this gallery to see some more cute kitties playing around. In most of my dog photography sessions, the sessions are split between outdoor and indoor because the goal is to have enough variety of photos to choose from. Bosch (brown Doberman on the left) and Bonz (black Bullmastiff on the right) during their indoor session. What about the Fine Art Sessions? Are they done outside or inside? It all depends on the subject. For the horse, it was done in a field next to the breeder’s location in Spain. But in most cases, the Fine Art Sessions are taken inside. This is because in order to get the animal to pose in a certain way, I need him/her to be totally relaxed and distraction free. Lluna is a 16 year old white persian cat. At her age, she needs a peaceful setting. Lluna's session approach was a bit different. Since her mom's house lacks an abundance of natural light, she brought the kitty to my hometown in Catalonia. At the beginning, she was a bit uncertain of what was going on, but with patience and a few tasty cat treats, she relaxed. Although the photos look like studio photos, they are certainly not. I didn't use any studio material like flashes, strobes, or umbrellas. I followed Lluna’s lead and I was fast enough to get these amazing shots of her. Then, the rest is post-production (I mainly use Lightroom 5 and Photoshop CC). The conclusion here is: It doesn't matter if it's indoor or outdoor as long as the natural light is good and the surroundings are clean and beautiful. What matters is that your pet can have fun with the session and the photographer is able to be creative with what is available. If you are thinking of having an indoor or outdoor pet photography session, contact me for a free consultation. We can discuss which options are best for your pet, taking into account his/her age and unique personality. I promise you striking images!